Jacob Faria allowed an earned run on a hit and a walk over three innings in a 10-4 Grapefruit League win over the Pirates on Sunday. He also recorded a strikeout and now has a 2.70 ERA and 0.75 WHIP through three spring appearances. 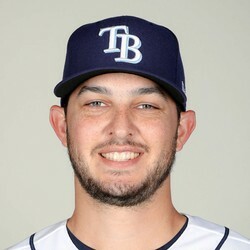 Faria had a disappointing 2018 season as he dealt with an oblique injury and could not get betters out and finished with a 5.40 ERA and 1.43 WHIP. Faria is a candidate to bounce back and has been going undrafted in many fantasy drafts. Owners should keep Faria on their watch lists as he could help out staffs if he has turned things around.